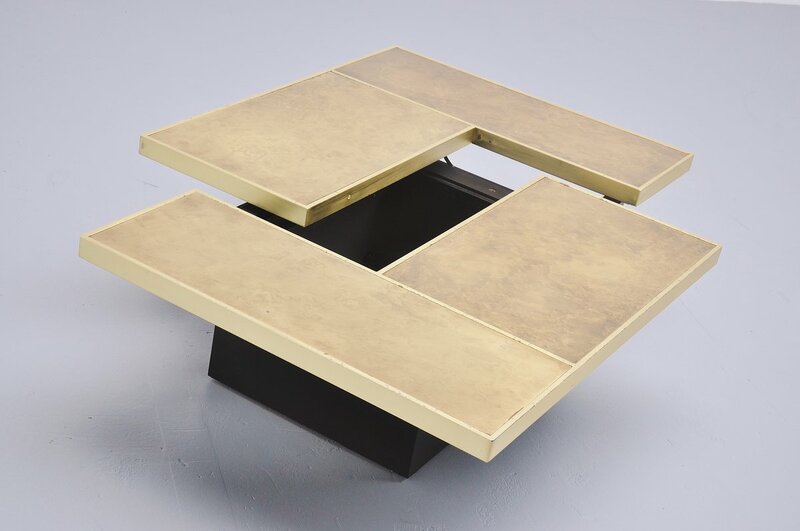 Very nice swiveling cocktail table, strongly attributed to Maison Jansen, France 1970. This table has a black laminated wooden base. 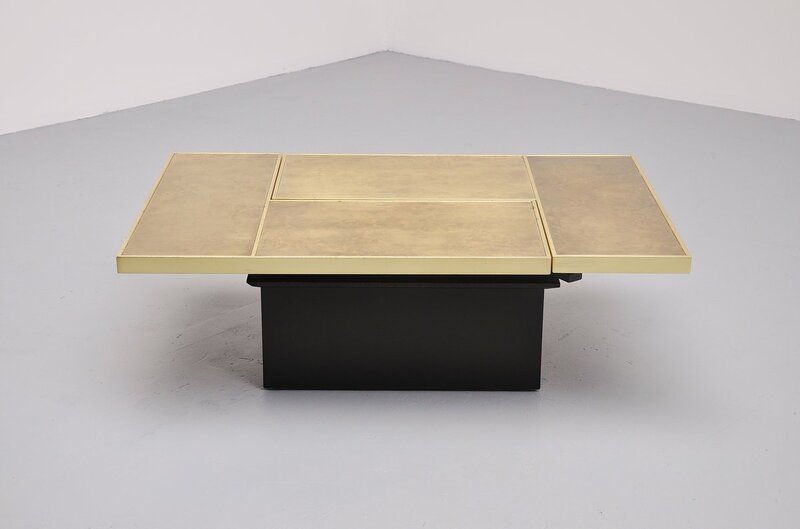 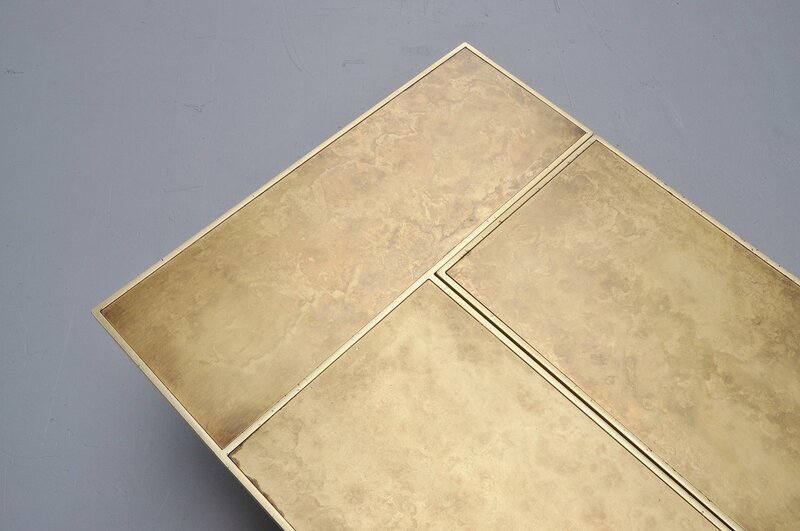 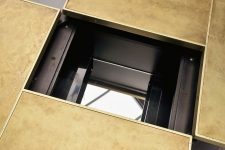 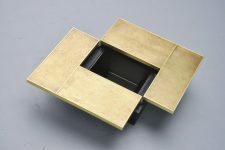 A gold lacquered metal swivelling top that turns the table from a rectangular coffee table into a square cocktail table in only a few seconds. This has a liquor storage underneath. 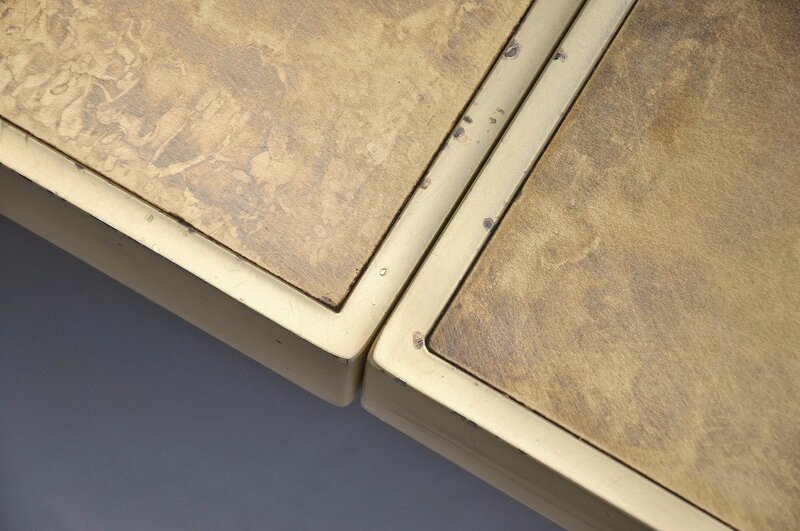 Amazing heavy table with normal surface and edge wear.